But it was a grand trip…in every way and included finding a few fun vintage and antique things…of course!! I ended up going to one antique mall, two thrift stores and a cousin-in-law’s new shop, Kurt’s Coins. The shop is small, but Kurt’s been picking for decades and has a wonderful eye and carries a little bit of everything. 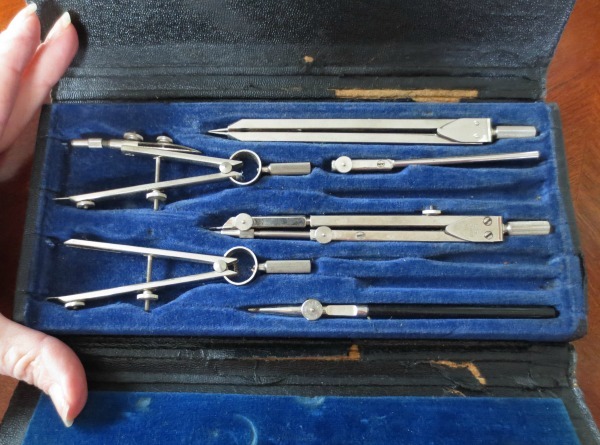 Cool antique Broadhead Garrett German drafting tools (4411) though a couple of pieces are missing from the case. Hoping there’s still a profit to be made. 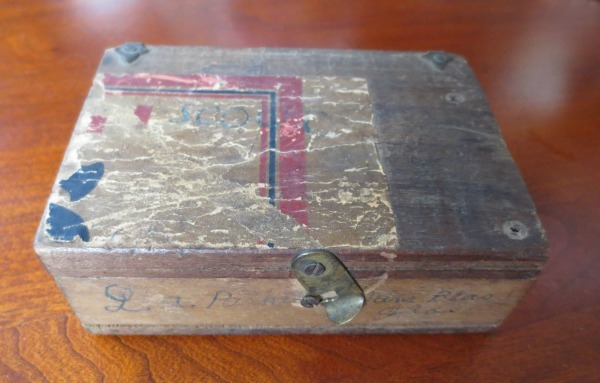 Totally fell in love with this small primitive handmade wood box. It looks like it was made by a 10-year-old boy out of wood scraps. He penned his name on the front (L.A. Parker) and one of the hinges in back is held together with a nail. Much more interesting than a mass-produced “collectible” box…don’t you think? 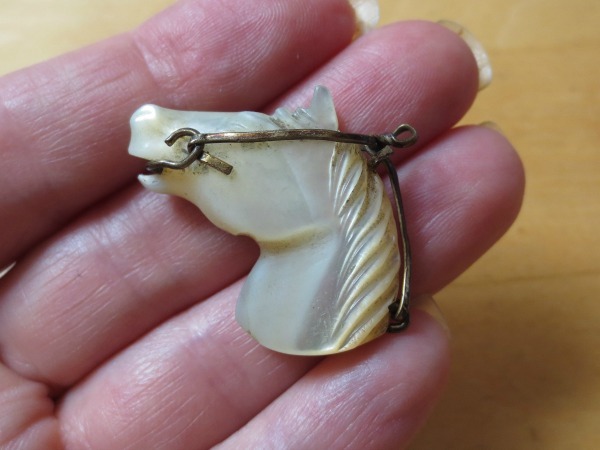 Spotted this antique mother-of-pearl carved horse head fob in a case of smalls at Kurt’s Coins. In a word…fabulous! 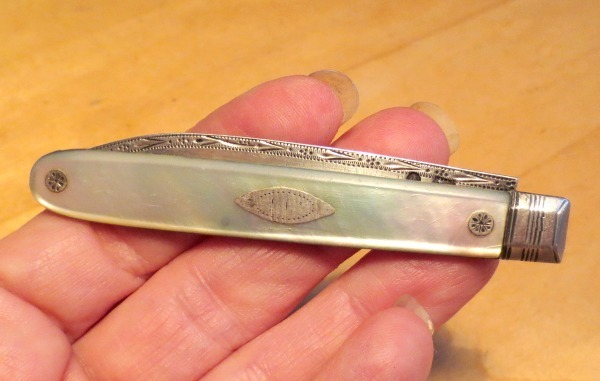 And last, but not least, this antique mother of pearl and sterling silver fruit knife also from Kurt’s Coins. The blade has an English duty mark, which makes it one of the oldest pieces I’ve ever bought. 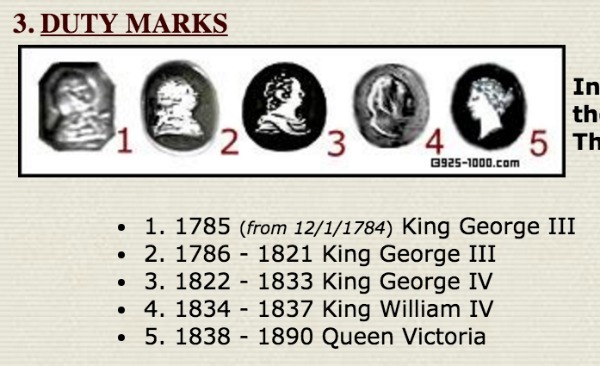 The mark is understandably worn and it’s either King George III or IV, dating this from 1786-1833. Cool, right?! My only problem…it will be hard selling these! 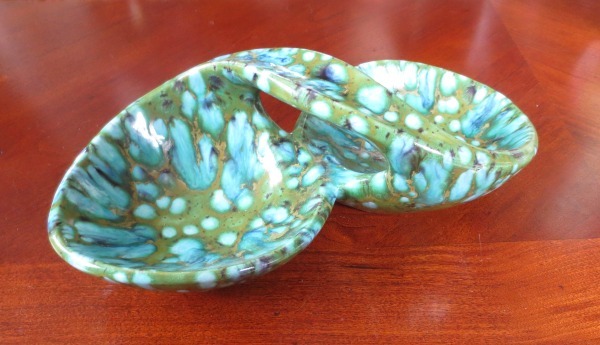 What’s your favorite vacation find? Nice finds! The drafting set reminds me that I had a set that I used back in the 80’s. Misplaced them and have no idea where they are now.